According to a report on Edmunds.com GM product guru, Bob Lutz, confirmed that the production Camaro will in fact have a B-pillar, making it a standard coupe instead of a traditional hardtop coupe. This will hold true with the Dodge Challenger as well. Camaro Mule caught during testing? Insiders have confirmed this Middle Eastern-market Chevy Lumina SS mule with severely truncated rear doors is indeed a mule for the production Chevy Camaro that will hopefully go on sale as a 2009 model. NASCAR hopes to inject new life into its Busch Series by changing the types of cars raced, beginning as early as 2009, according to multiple sources familiar with the project. If plans go according to schedule, the next-generation Busch Series cars will be Chevrolet Camaros, Dodge Challengers, Ford Mustangs and an as-yet-to-be named Toyota model, sources said. Ford overhauled the Mustang as a 1960s-retro model in 2005, to positive critical and commercial results. 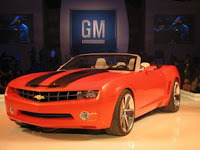 Chevrolet and Dodge will release similarly retro-themed Camaros and Challengers, respectively, by the 2009 model year. We've all read the proposed names for months now, Corvette SS, Sting Ray, etc. It appears the new name will bring back the ZR1 RPO designation. While the recent announcement to rethink the SS lineup by Chevrolet had most of us thinking SS was a sure thing, this announcement makes me think they brought back the right name. Ever since we first heard of the rebirth of ZR1 in 1989, it has been synonomous with power. "Chevrolet's 650-horsepower Corvette, developed under the codename "Blue Devil," will be called ZR1. That badge will appear on the January 2008 Detroit show car, and on the production version set to go on sale later next year as a 2009 model. GM has been developing this car for several years, using a supercharged version of the new 6.2-liter small block V-8 used in the 2008 Corvette(pictured). GM also considered such names as Z07 and Super Sport for the ultra-low-volume car. 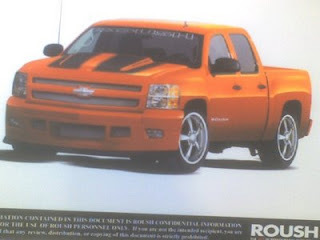 Price will be much higher than the 505-horsepower Z06, and Chevy will continue production of that car when the ZR1 launches."